Fly away with us on a flight adventure! Discover the physics of flight, create your own model aircraft, test flight dynamics, and explore air using a wind tunnel. 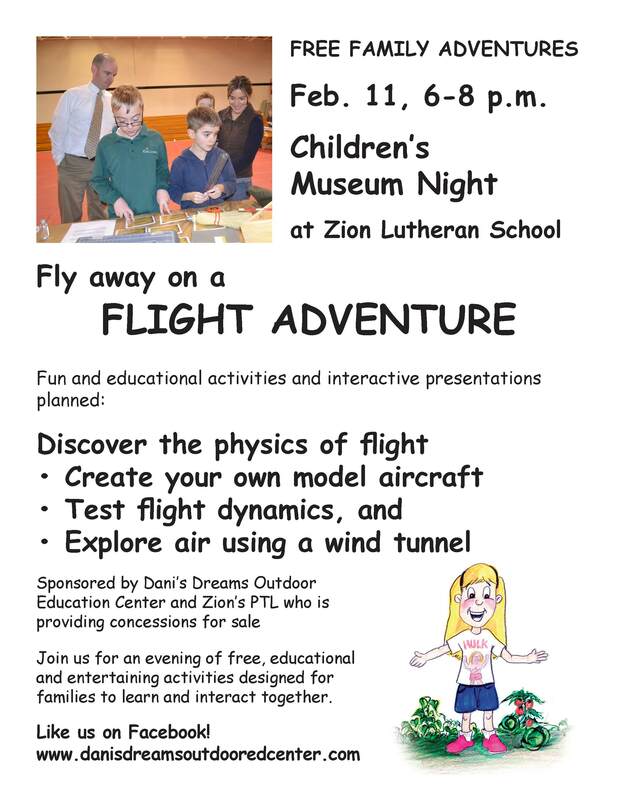 These are a few of the activities for families at Children’s Museum Night at Zion Lutheran School, sponsored by Dani’s Dreams Outdoor Education Center. Join us Feb. 11, 6-8 p.m. – concessions will be available by the Zion PTL.